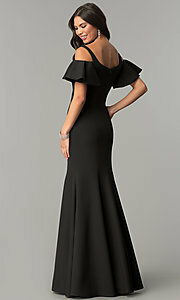 Say, "sophistication," with this long cold-shoulder formal dress that hugs the curves and bespeaks style. This beautiful evening dress is fashioned from smooth jersey fabric and highlights the figure as it skims the body from the scoop neckline down to the knees. 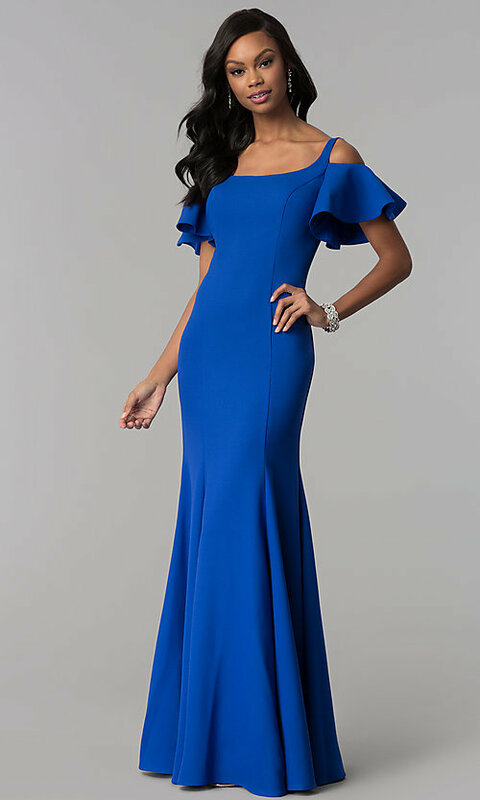 Cold-shoulder flutter sleeves add flirty appeal to the delightful evening gown by gracefully belling out around the arms, while an exquisite mermaid-style skirt mirrors the look by flaring at the knees. 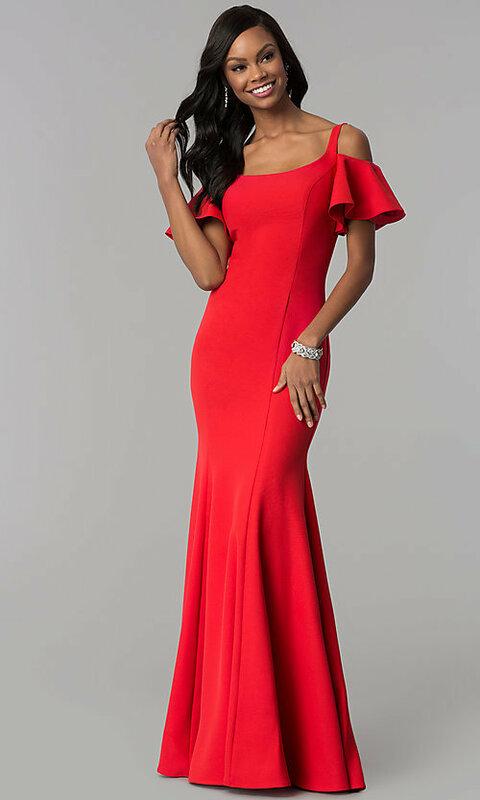 Completing the long formal dress, vertical seams run from the neckline to the hem to create a flattering princess cut, practically fit for royalty.